Photo provided by FBI files -- James Sonny Taylor in the 1960s. 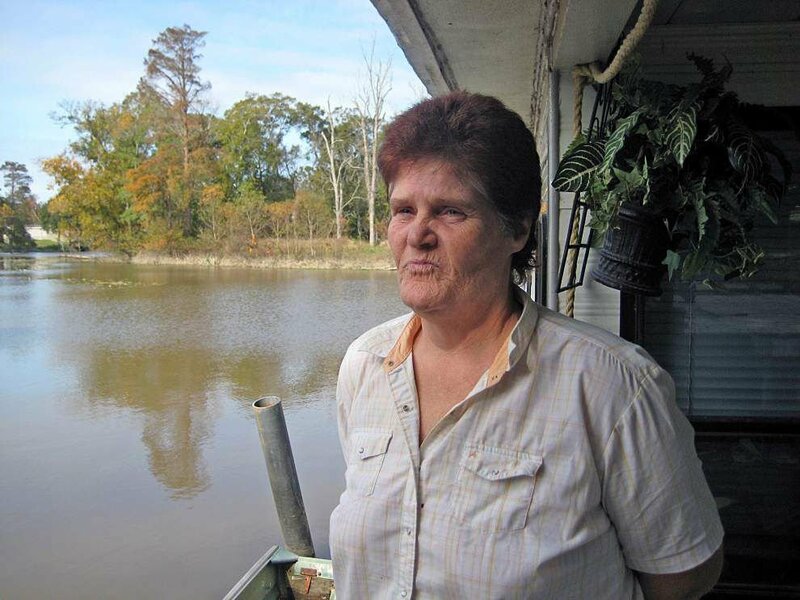 Photo provided by David J. LaPlante -- Debra Taylor, haunted by her past, looks out over the Amite River houseboat near Port Vincent Her father was a notorious Klan member in east central Louisiana during the 1960s. Debra Taylor remembers many things these days, nightmares she tried hard to forget. She remembers throwing up as she got off the school bus and walked up the road to her home in the small Louisiana town of Harrisonburg, fearing the abusive father awaiting her. She remembers her father being so irate after a black 15-year-old boy from a recently integrated high school wrote a harmless note to a female classmate that he led a cross-burning in the teen’s yard. And she vividly remembers her father confessing near the end of his life to disposing of the bodies of black people by bundling them in barbed wire and dumping them into Alligator Bayou near their Harrisonburg home. These and more memories so rattled her that at 62, Taylor decided to reveal her family’s secrets. In interviews with the LSU Manship School Cold Case Project from her modest houseboat at Port Vincent, she recounted painful details of life with James “Sonny” Taylor, identified in FBI files as a member of the Silver Dollar Group, a Klan unit that believed violence was the only way to keep black people from gaining rights as the South struggled with embryonic integration. Debra Taylor was immersed in the racial violence and hate culture that thrived in Klan pockets of 1960s Louisiana. She did not agree with her father, but for the longest time, she said she felt guilty because she said nothing. Debra’s grandfather, her hero and a veteran city marshal, despised his son, she said, and the rest of his family feared him. The Silver Dollar Group, regionally centered in Concordia Parish, terrorized, assaulted and killed black people in east central Louisiana and nearby Mississippi in the 1960s. Some area lawmen either were sworn Klan members or sympathizers. Either way, they turned a blind eye to justice. Debra Taylor remembers serving these men coffee and beer when they visited her father as she was growing up. Debra Taylor was born in rural Leesville in 1953 to Sonny Taylor and the second of his three wives. On the day she was born, he was off fighting in the Korean War. When he came back, he distilled moonshine, logged trees, abused his family and intimidated black people. Debra Taylor lived with her father and his third wife after her birth mother left. Sonny Taylor routinely beat Debra Taylor and her three brothers, she said, and he was worse when he was drunk. Debra Taylor claims her father’s behavior instilled a chronic, gripping fear in her that addled her mind. They were somewhat isolated in tiny Harrisonburg, and Sonny Taylor could get away with almost anything. He beat the children if they disappointed him or failed to complete chores and forced them to steal goats and poison the neighbor’s chickens. Sonny Taylor was not wealthy, but Debra Taylor remembers he regularly brought home steaks while his children were served U.S. Department of Agriculture commodities, although she acknowledges loving the bulk cheese. “I would literally vomit when I got off the school bus to go home” out of fear for what awaited her, Debra Taylor said. Her father once chained her 6-year-old brother to a post and left him outside all night to “cure” him of being afraid of the dark. Another time, Debra Taylor recalled, her father pulled a knife on her brother Jerome and cut him. Sonny Taylor, who was taunting some teenagers at the time, was mad at Jerome for intervening. He made drunken sexual advances on Debra Taylor when she was 12, she said. Sonny Taylor found a release for his reckless anger in the Silver Dollar Group and its last-stand mentality in fending off racial homogenization that was being mandated by the federal government. In his mind, he believed he was protecting white society, particularly its women. When he learned that the teen son of a local black family passed a note to a female classmate, Sonny Taylor and Klan cronies fired shots into the family’s home and burned a cross in the yard, Debra Taylor recalled. The night riders felt they were doing righteous work; Debra Taylor felt guilty because she was the one who told her father about the note. Sonny Taylor and the Silver Dollar Group dealt with black adults more harshly. A few paid for their civil rights “transgressions” with their lives. Debra Taylor knew her father hurt black people and was introduced to many Klan members. 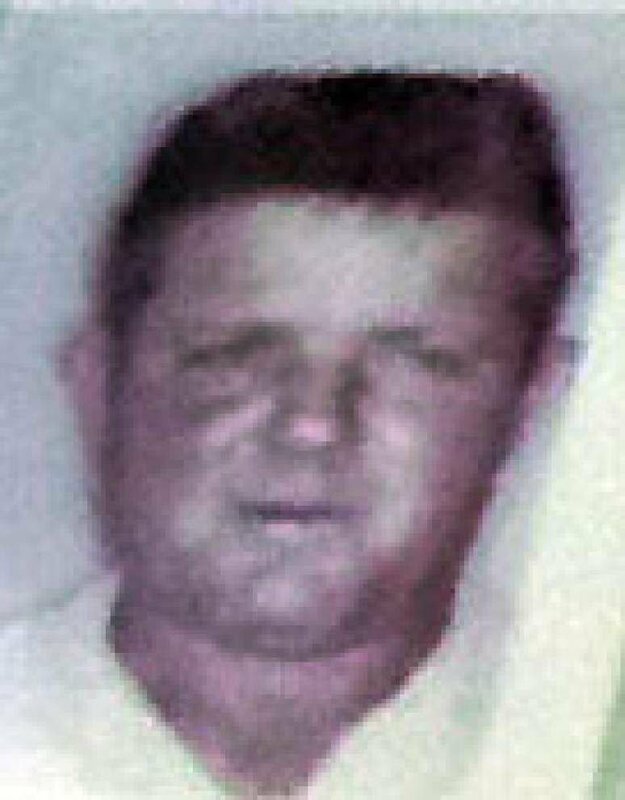 Among the frequent visitors to the Taylor household were Frank DeLaughter, the feared, larger-than-life deputy sheriff of neighboring Concordia Parish; Raleigh “Red” Glover, boss of the Silver Dollar Group, a violent offspring of the KKK headquarters in Vidalia; E.D. Morace, a notorious Klan member; and Jim “Red” Lee, a deacon in his father’s Baptist church in nearby Wildsville and one of Sonny Taylor’s closest friends. FBI investigative files obtained by the LSU Cold Case Project team accuse Sonny Taylor and Lee of building a bomb under Glover’s direction that was used on Aug. 27, 1967, to blow up the car being driven by Natchez NAACP leader George Metcalf, who survived extensive injuries. No one was ever arrested in the attempted killing. When guests arrived at Sonny Taylor’s home, he expected his young daughter to wait on them. Debra Taylor said most of their business meetings took place “up the road” at a secret location. She recalls her father gathering dynamite and guns from a cache on their property before hopping in his pickup and heading off to a Klan meeting. Fellow travelers weren’t the only folks who came calling. The FBI also paid visits. “I didn’t know who they were, and I smiled at them. He beat me for that,” Debra Taylor recalled. Ironically, Sonny Taylor became a paid FBI informant, trading information about the Silver Dollar Group for money and immunity. Klansmen often were in trouble with the law on non-Klan incidents. But Sonny Taylor, like other Klan informants, seldom provided agents with evidence to successfully prosecute Klan leaders for serious crimes. In 1957, Sonny Taylor, who was a moonshiner of some note, was arrested by federal agents for running sugar for another moonshiner and was sentenced to two years in prison. Debra Taylor and her brother lived with relatives until 1959, when Sonny Taylor was released. Debra Taylor got pregnant when she was 15 in 1968. Her father was so enraged he kicked her in the stomach to force a miscarriage, she said. Debra Taylor and the fetus survived, but she fled her father’s home. She would not raise her children around her father, she said. Her brothers, however, remained with him. Two of them ended up with convictions for assault, armed robbery and drug charges. Debra Taylor’s oldest brother, Jerome, died in 2006. The two brothers who are still alive consider their sister selfish for speaking out about her father, staining his name, she said. Debra Taylor realized early on she had to get away from her father, but she never completely removed him from her life. She studied nursing in Natchez, Mississippi, and made good grades, but years of trauma left her unable to focus on coursework, she said, and she ended up leaving school. She was a prison guard at the Louisiana State Penitentiary at Angola for several years and had to change cellblock responsibilities after her brother was imprisoned in her wing. As the civil rights movement gained footholds and local culture gradually rejected the raw racism of the Jim Crow South, Sonny Taylor and his ilk had a difficult time letting go of the past. Most faded into marginalized isolation in the 1970s. But few ever faced justice for their attacks on black people — including Sonny Taylor. Debra said when her father’s health starting failing in 2004, she took him to her home in Indiana. It was there that Sonny Taylor began to think about his violent life, said his daughter, but he never renounced it. “He was feeling sorry for himself,” said Debra Taylor, who said she looked after him for a “long” three or four months. He “confessed” to her how he and other Klan buddies would bundle the bodies of black men with barbed wire before throwing them into a bayou. The barbed wire, he explained, would snag on the bottom and keep the body from floating to the surface. Debra Taylor remembers her father saying something that also startled her: “Maybe you ought to tie me up with barbwire and throw me in the bayou like we did to those n******,” using a racial slur to describe black people. For years, she thought her father’s “confession” somehow implicated her because she never told the authorities. That fear, she said, prompted her to send a cryptic email to LSU’s Cold Case Project in 2015, saying she wanted to talk about her father, who was known to team members from their FBI investigative files. Early this year, Debra and her son, now an engineer, left Louisiana for a new beginning in another state. After 50 years, she said she feels free of her father, free of guilt, free at last.